The vision of SHARP is to help students to become successful individuals and citizens who enjoy positive and productive relationships in their schools, homes and communities. SHARP is committed to providing a positive, student centered, safe, and academically comprehensive program that is sensitive to the varied learning styles of all students. Our goal is to empower our students to become productive, confident, active and contributing members of society, as shown by achieving a level of independence in a supported environment and/or a successful phase back to a comprehensive campus, their continuing education in a trade school or college setting; and/or gainful employment in their desired field of interest. Thank you to all of our students and staff for being SAFE, RESPECTFUL AND RESPONSIBLE! Keep up the good work students. 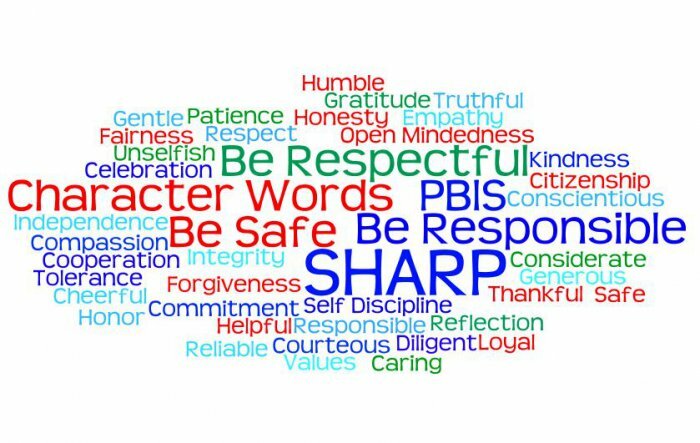 PBIS will encourage a positive, safe and academically comprehensive climate that will help all students SOAR. SHARP school once again brings home the gold. We are so proud to be recognized with the PBIS Gold Award for the second year in a row. 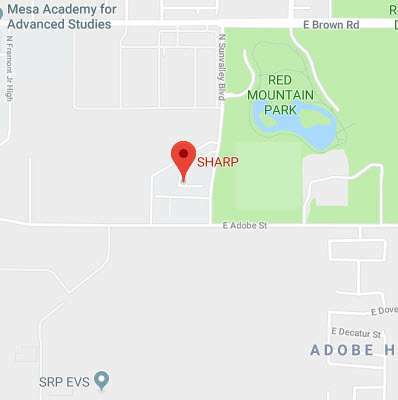 SHARP school was one of thirteen schools in the state being recognized for excellence in the Gold category and the only one from Mesa Public Schools. The statewide awards ceremony took place on May 5, 2017. Accepting the award on behalf of SHARP School was the principal Ms. LeiLani Scott. 2015 -SHARP School Does It Again! 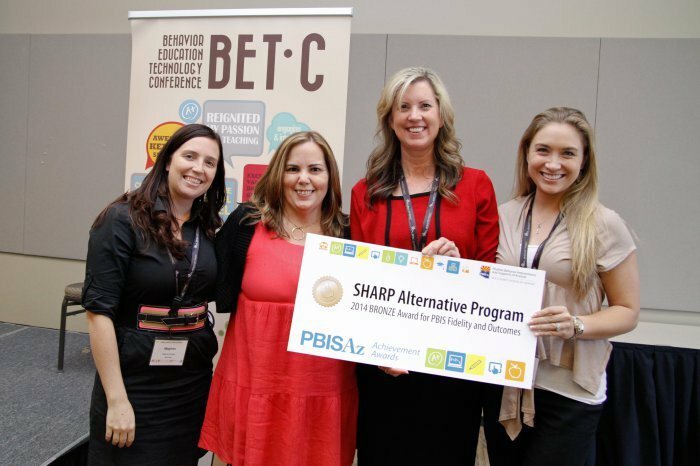 We are please to share that SHARP School was recognized for the 2nd year in a row by PBIS Arizona for excellence in achievement in Tier 1, 2 and 3 Fidelity and Outcomes. This year we received the Silver award moving up from the Bronze award received last year. SHARP was 1 of 6 schools in the state to receive this award. Way to go SHARP School! 2014 -Way To Go SHARP!